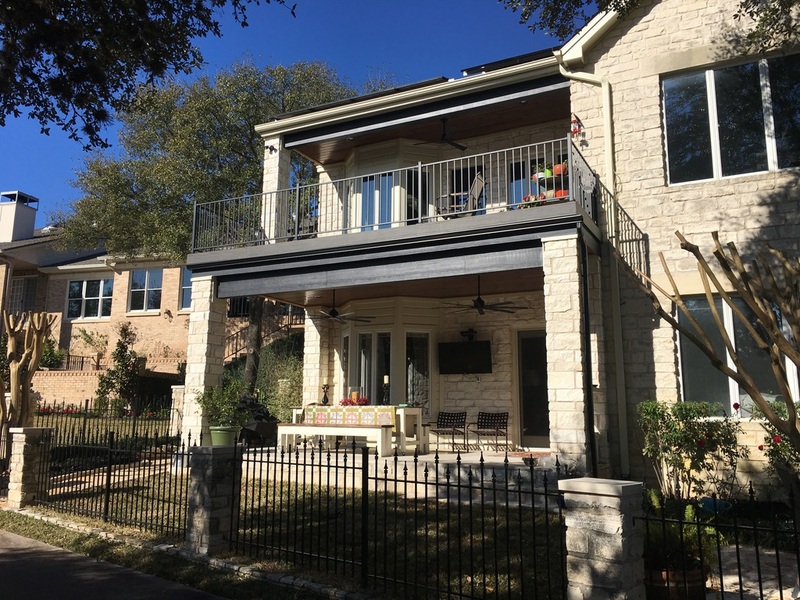 Archadeck of Austin took an existing back patio and elevated porch design to a whole new level for these Austin Country Club residents! 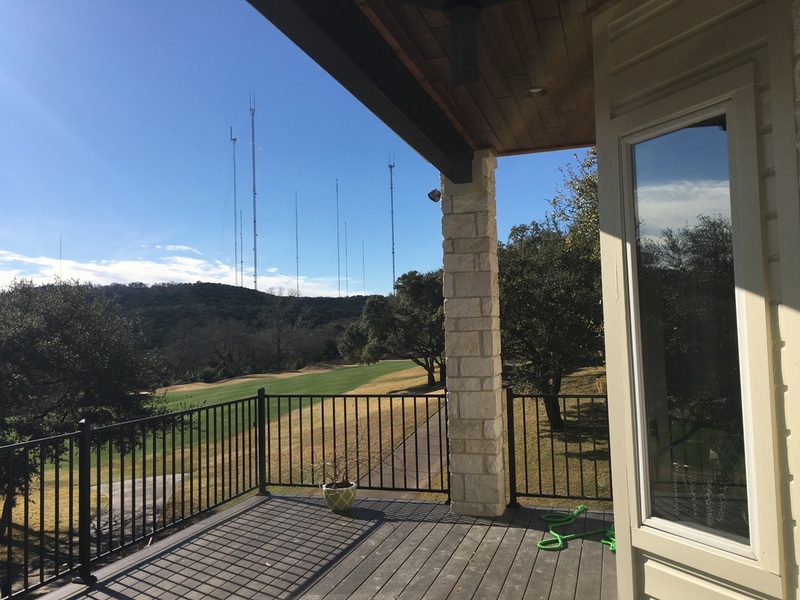 These homeowners are ready for their front-row views of the Dell Match Play PGA Championship coming up in March. Take tea with Tiger Woods or have an Arnold Palmer with Jason Day on your back patio lately? 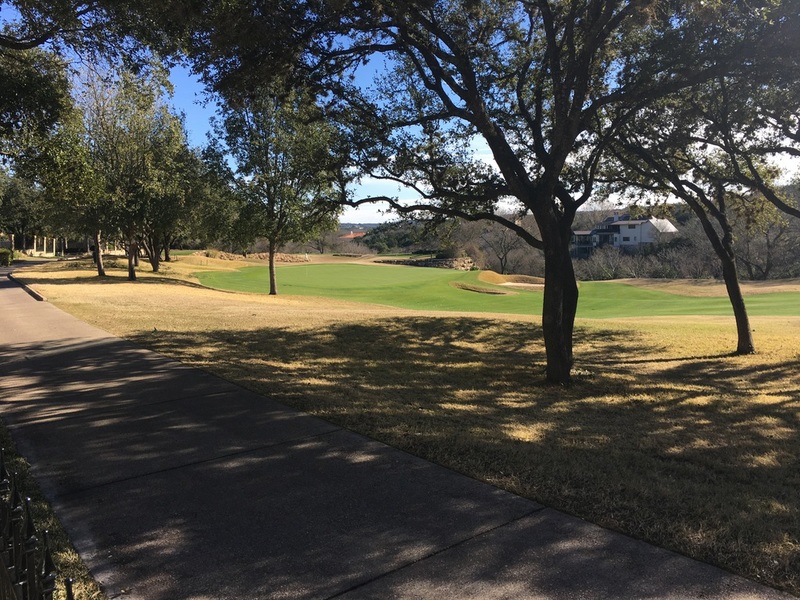 Well, these lucky residents are ready to host a flurry of PGA champions and aspiring champions this spring on their brand new patio, which backs directly up to the golf course! Before, their backyard space left them lacking in one very important area – view. The patio roof and upper deck were supported by substantial columns, which hampered the view from within the space. 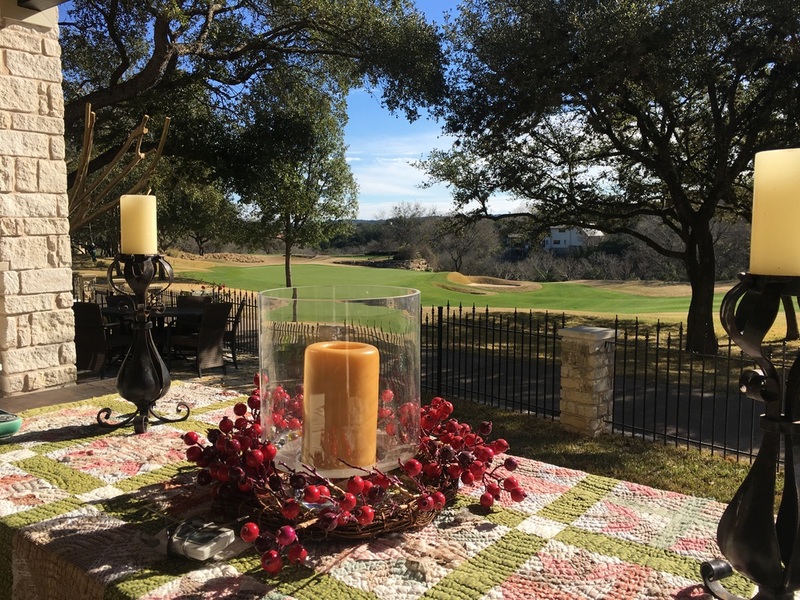 Archadeck of Austin was able to improve their outdoor living areas, and open them up to a fun time with tournament participants for the Dell Match Play Championship. — Deck and second-story deck design by Archadeck of Austin. New patio, new deck, new views! We rebuilt the entire back of this home to accommodate a more modern walk-out covered patio and second-story deck design, leaving no stone unturned for comfort, space, and ultimate enjoyment during tourney time and beyond. — Stunning views inside and out! 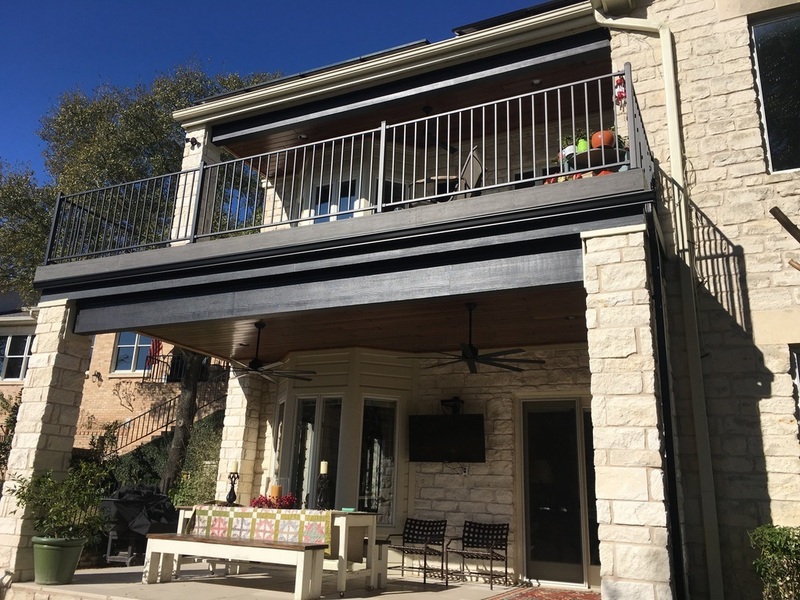 Archadeck of Austin removed the existing upper deck, and installed engineered beams to open up the span, eliminating view-impeding columns. 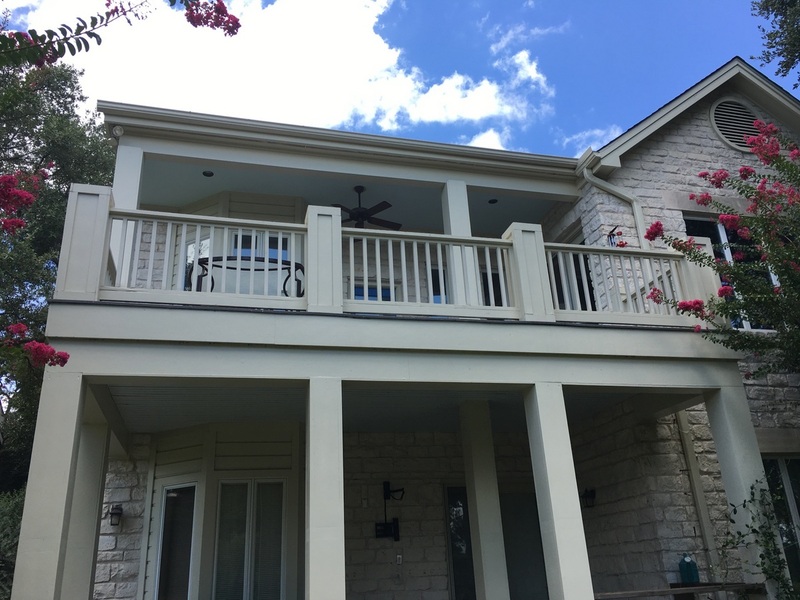 We installed a bitumen-style roof, placed a new deck on top, and rebuilt beautiful limestone columns top-to-bottom. — These two new spaces look completely original to the home – not like additions! The black metal deck railing is low-profile, further contributing to the open feel and open views. What a beautiful deck on which to pass a lazy afternoon, or hours of evening entertainment! 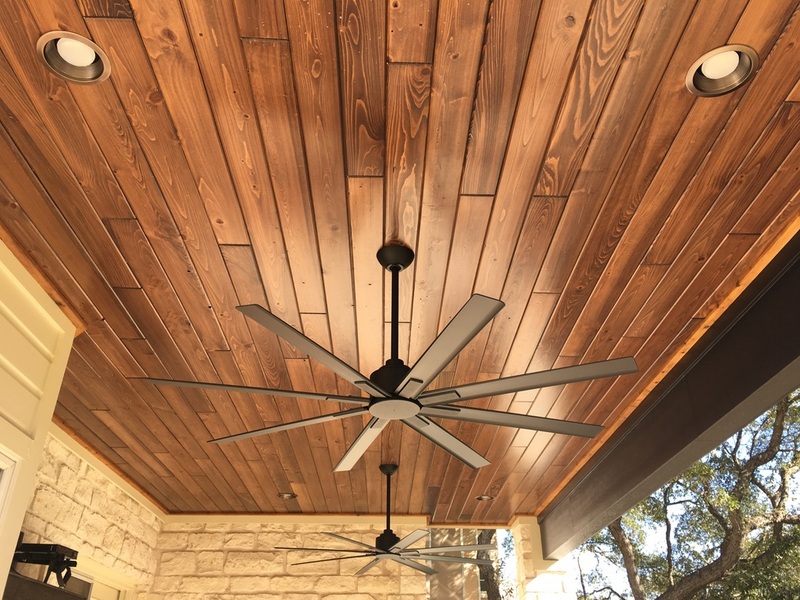 The elegantly finished wood ceilings on both levels offer beauty and lend themselves to clean electrical installation for lighting, fans, speakers, and TVs. What electrical amenities would you like to have in your new outdoor living space? — Wow factor is always included in Archadeck of Austin projects! 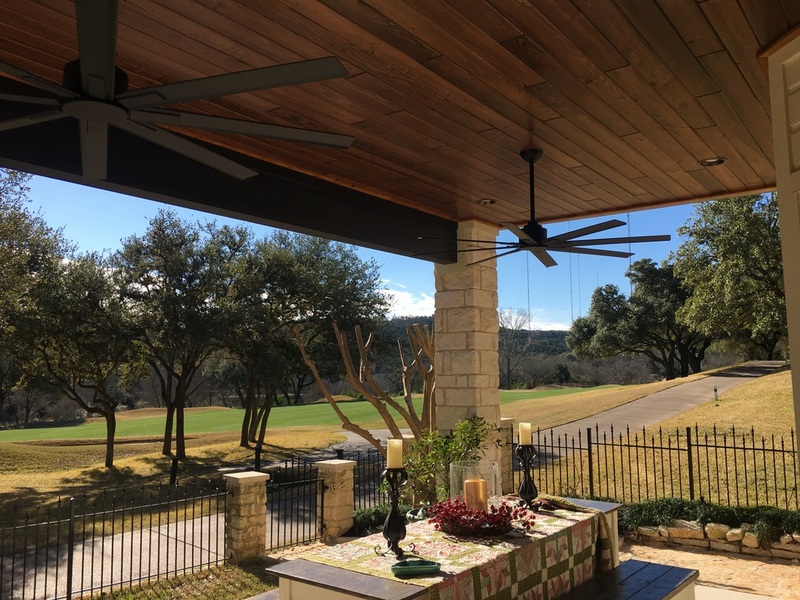 At Archadeck of Austin, we pride ourselves on creating custom spaces – and new spaces that complement what was there before them. Take a look at the perfect match of the limestone columns to the existing home! 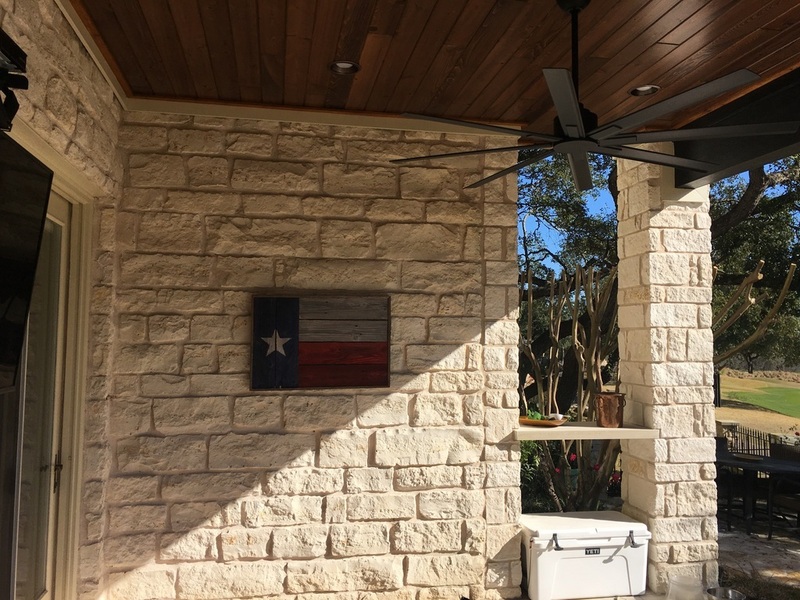 — Outdoor living is bigger and better in Texas! The obstructed views are gone! The porch and patio that existed before we redesigned the new spaces had a couple of very obvious issues. Too obvious and obtrusive were these columns, and they stole precious outdoor space, as well! 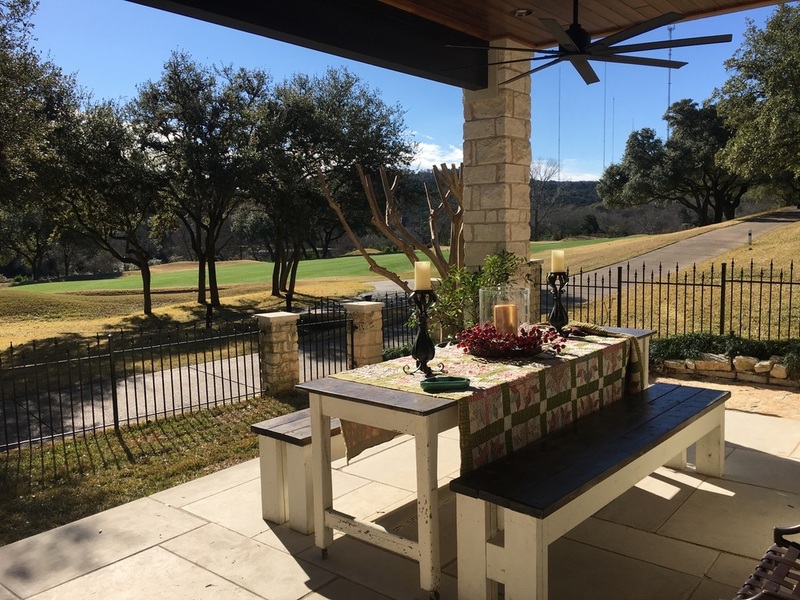 — These Austin Country Club homeowners won’t miss a thing – and they won’t miss these columns! — Breathtaking country club views! At Archadeck of Austin, we know one thing’s for sure. You don’t have to have a golf course vista to appreciate a great view from your outdoor living space. If you have an aging or unusable outdoor living area in need of resuscitation, we are ready to work with you to achieve your own dream space! — SEE how we can improve your view! Are you looking to improve your backyard view with a new outdoor living design? Call Archadeck of Austin today at 512-259-8282 or email us to schedule your free design consultation.